Keep small places tidy. 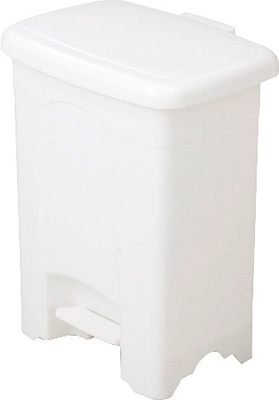 This four gallon plastic step-on receptacle is the perfect size for smaller spaces. Easily slides under desks, sinks, or between small office spaces. Intelligent design offers a hands-free solution. Lid closes automatically after every use, preventing odors, hiding unsightly materials, and making it the ultimate solution in keeping a neat and tidy area. Available in black or white.